Summer is winding down, the weather is divine, and it’s the perfect time for outdoor festivals. Here are September’s event highlights for the Reston area. Reston Multicultural Festival. Photo by Carol VanDyke. Bring a blanket and enjoy this free outdoor music festival. Choose from several kinds of domestic and craft beers as you enjoy some of the DC area’s best musicians. JamBrew takes place every Friday night in September, and concludes with Oktoberfest on September 27, 2014. Hop on the Metro to Tysons Corner to enjoy 8 bands, 20 food trucks, and a variety of beer and wine. Proceeds will be shared with the Spirit of Hope Children’s Foundation. Admission is $12 for adults, $5 for children ages 6-16, and free for kids 5 and under. Reston’s final outdoor movie of the year features James Bond in Skyfall. Admission is free. Bring chairs and enjoy a moonlit picnic by the lake, or reserve an outdoor table at Kalypso’s Sports Tavern. We love this festival! It’s one of our favorite Reston events of the year. The Multicultural Festival is a celebration of our community’s diverse traditions in music, food, and art. 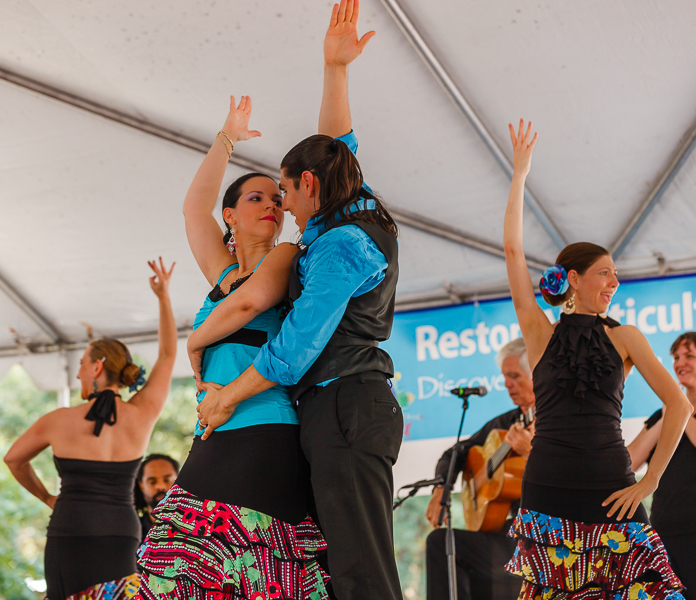 Dress in your culture’s traditional attire, and come enjoy lively performances by the people of Reston. What other September events do you recommend? Did we miss anything cool and noteworthy?